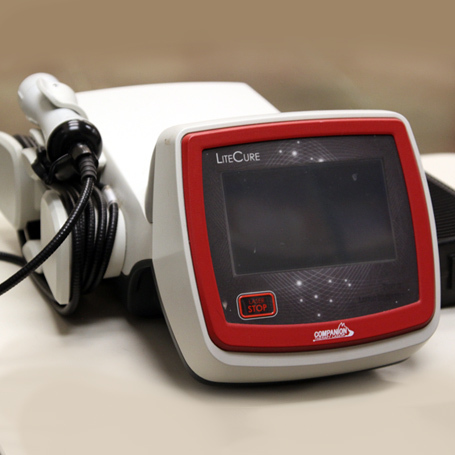 One of the newest and most innovative procedures in the veterinary industry is laser therapy. The procedure is utilized to treat acute and chronic injuries, and is completely non-invasive so you don’t have to worry about your four-legged friend. By stimulating cell regeneration through targeting a certain area in increasing blood flow, laser therapy actually accelerates the healing process after surgery, aids with joint pain, and treats certain diseases. Always staying up-to-date in current veterinary techniques, Southern Hills Veterinary Hospital is proud to offer this inventive technique for post-operative rehabilitation for your dog or cat. So how does it work? To put it simply, using low-level laser therapy, we focus infrared and red light on specific tissue. This light actually energizes the cellular mass and produces collagen which helps aid the tissue healing process. Using vascular dilation and synthesis, blood circulation is enhanced in the targeted area. A super quick procedure, a session of laser therapy usually takes up to ten minutes and signs of success begin appearing after 3-5 treatments. Oftentimes, laser therapy is paired with other forms of veterinary medicine including medication and alternative therapies. With very little possibility of adverse side effects, laser therapy is quickly becoming the go-to rehabilitation following surgery. Our staff at Southern Hills Veterinary Hospital is experienced, knowledgeable, and devoted to every animal that comes in to our veterinary clinic. We know you want the best for your cat or dog, and that’s what we provide. 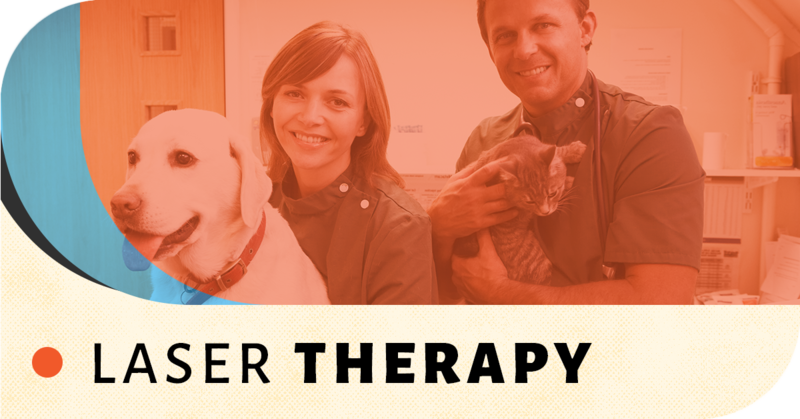 If you’d like to learn more about laser therapy, other veterinary services we provide, or would like to schedule an appointment, contact us today! We look forward to seeing you and your furry best friend!